A widow walks behind the coffin of her only son, surrounded by her community, weeping. She is not alone, but she is lonely and deeply wounded. Who could know the depths of her grief? Who could understand her sorrow and remove it? A Man she has never met, His eyes full of love and brimming with tears, touches the coffin. With one brief phrase He reverses death. Would she run to her son first, or to the Man who raised him from the dead? How marvelous a story Luke tells in so few words. It strikes me that the writers of the Gospels revealed much by what they did not say. In leaving room for the imagination, they encourage—whether purposely or not, I do not know—our God-given capacity for empathy. Today’s Gospel strikes a chord in my heart because I have a newborn son, but I think there are lessons here for each of us as women in all our different stages of life. Today, put yourself in the shoes of this woman, bereaved of both a husband and an only son. What have you lost? What or whom have you loved that has been taken from you? Remind yourself that, as Jesus looked upon her and was moved with pity, so He will also look into your heart and be moved. Jesus is not a God of transactions or legal exchanges, but of personal, rich, and entirely whole Love. He doesn’t save us because He has entered into a contract, but because He sees us, and He’s moved with pity. 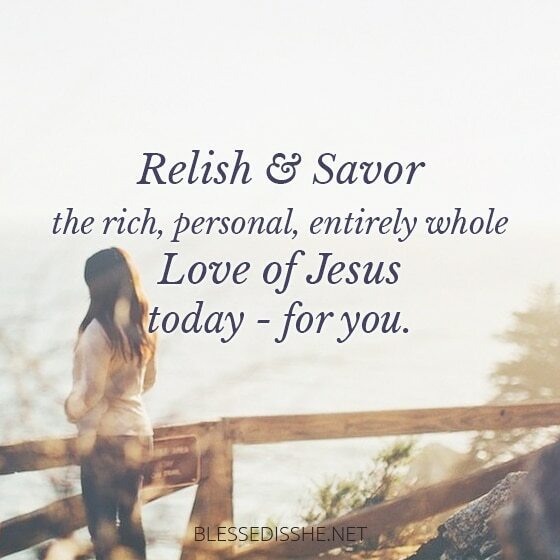 Relish and savor the rich, personal, entirely whole Love of Jesus today—for you. Previous Post Behold, your mother!